If you need a multifaceted law firm in New York or New Jersey, turn to Jacoby & Meyers, LLP, for a free initial consultation. From personal injury to bankruptcy, to family law and beyond, we are proud to have guided clients through the most challenging times in their lives for the last 40 years. Since 1972, the law firm of Jacoby & Meyers, LLP, has provided legal advice and representation to clients throughout the nation. We are proud to offer affordable rates to clients in a broad range of practice areas. We understand that individuals might need the guidance of a legal professional more than once during a lifetime, and we strive to build relationships with our clients by treating them like individuals rather than numbers in a spreadsheet. Trust our law firm for quality, full-service representation. 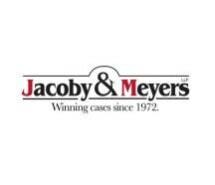 Please contact our firm today to learn more about how Jacoby & Meyers, LLP, can help you with all of your legal needs. Count on us to provide personal service, individual attention and prompt communication throughout the duration of your case. Following a free consultation, we will provide an honest and realistic assessment of your case, and any obstacles you might face through litigation. Look to our law firm for experienced representation.